Presumably after Bruce Forsyth, Ant and Dec, Vernon Kay and even Les Dennis turned this gig down, former ‘Give Us a Clue’ captain Lionel Blair decided he’d return to the charade game and give this live, Christmas themed Twitter project a go. As if there wasn’t already enough rubbish on TV it seems now to be spilling into social media. 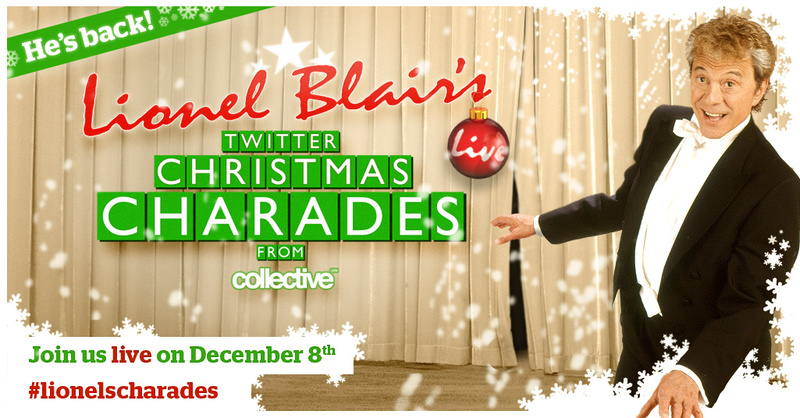 On the 8th of December Blair, along with a panel of people armed with iPads, will respond to real-time tweets from viewers. But why? I imagine you are thinking. Well to win some signed Lionel merchandise, and be hailed as a charade champion of course. Who wouldn’t want that? I don’t imagine many of Blair’s fanbase have Twitter accounts so this could just end up being three hours of Blair pretending to be a teapot. Hmmm, on second thoughs I might actually watch.